Kate and Gerry McCann quit smiling at the figure in your bank account and tell the British public and the world the truth. In most articles, it is expected that the writer should summarise what the hell they're going on about so that the reader can understand the context behind their words but I'm sure you are all well aware of who Kate and Gerry McCann are. On the evening of May 3rd, 2007, Madeleine McCann disappeared from her bed in a holiday apartment in Praia da Luz, a resort in the Algarve region of Portugal, sparking what one newspaper called "the most heavily reported missing-person case in modern history". And despite millions of pounds of the taxpayers money being spent her whereabouts remain unknown. In fact, it remains unknown whether she is still alive, whether her parents Kate and Gerry killed her or if she actually was abducted. The toddler went missing while her parents were allegedly dining in a nearby restaurant. Who leaves a toddler and two babies alone? especially in a foreign country? When Maddie went missing I was 10 years old and my parents wouldn't even leave me home alone while they popped to the newsagents for five minutes. In fact, when I was 11, 12, 13, and 14 years old my parents wouldn't even leave me home alone. Once I was old enough mentally and had a mobile phone they gave me some freedom and I could run around the house naked while they popped to the shops. But sadly for Maddie, this wasn't the case. Why am I voicing my opinion now, 10 years on? Because the journalist in me needs to know the answers, as a part of the British public who pays tax and as someone who genuinely hopes Maddie is okay, I and you deserve to have our questioned answered. The 48 questions that the police asked Kate McCann following the disappearance of her daughter were published in our papers in 2008. The questions were asked after Kate McCann was made a suspect four months after her daughter 'vanished'. FOUR BLOODY MONTHS LATER? Out of the 48 questions, the police asked her she used her right to remain silent and only answered one... ONE? If your child went missing you would do everything in your power to help find her/him. If a police officer asks you a question you would answer it without hesitation, you would assist the authorities as much as you possibly could, you wouldn't answer one question out of 48. The detective asked Kate "How much time did you spend searching in the apartment after realising that your daughter Madeleine had disappeared?" she refused to answer. Why would you refuse to answer that? That's key information that she could have told the police to help them solve this famous mystery. In a post written by Kate herself on April 24, 2017, she wrote on findmadeleine.com "Thankfully, there is an active police investigation to try and find Madeleine and bring her abductor to justice." Abductor? It has never ever been proven that somebody abducted Maddie. There was no evidence suggesting she had been taken what so ever in the police reports that were blasted all over the newspapers. Not even Scotland Yard are 100% sure the little girl was abducted. So how is Kate so sure that it was an abductor? In another post Kate wrote "As a parent of an abducted child", how can she be so certain? Do you know something that you haven't told the authorities, Kate? To me personally, this is a massive part of the case. Keela was a crime-scene-investigation (CSI) dog trained to give her handler, Martin Grime, a "passive alert" to the scent of human blood by placing her nose close to the spot, then freezing in that position. Eddie was an enhanced-victim-recovery dog (EVRD) who gave a "bark alert" to the scent of human cadavers, including shortly after the death of the subject, even if the remains were buried, incinerated or in water. He was trained to bark only in response to that scent and not for any other reason. The only area in which Keela and Eddie gave alerts was apartment 5A - where the McCanns were staying. Both dogs alerted behind the sofa in the living room, and on and under the veranda in the bedroom, Madeleine's parents had used. The Polícia Judiciária obtained search warrants to search the house the McCanns had rented on Rua das Flores, and the silver Renault Scénic the couple had hired 24 days after Madeleine went missing. The house and grounds were searched on August 2nd. The only alert was from Eddie when he encountered Cuddle Cat (Maddie's cuddly toy), which was lying in the living room; Keela did not give an alert. The dogs were also used to check out the car the McCanns had hired. Eddie, the cadaver dog, gave an alert outside the McCanns' car and inside the boot (trunk). Keela alerted to the map compartment in the driver's door, which contained the ignition key and key ring. When the key ring was hidden underneath sand in a fire bucket, she alerted again, as she did when the bucket was moved to a different floor of the car park. One or both dogs gave alerts at Cuddle Cat, Kate's clothes and the Bible. 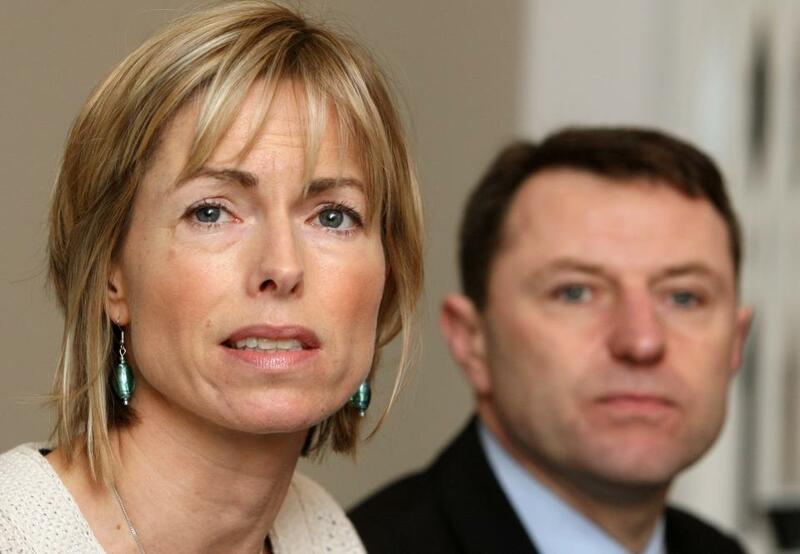 The McCanns' lawyer said that, if there was indeed a smell of corpses on Kate's clothes, it could have been caused by her contact with the deceased as a family doctor. I'm not saying the McCanns are guilty. I'm saying that I THINK they're guilty. Why didn't you answer those 48 questions, Kate? Why did the sniffer dogs smell blood and corpse scents in the back of your rented car? Why out of all the places the sniffer dogs went did they only act up near things where Maddie had 100% been (such as in her hotel bedroom and living room)? Why did you wash cuddly cat shortly after your daughter went missing? Why was the scent of blood picked up on cuddly cat by the sniffer dogs? Why did you go jogging and play tennis a mere day after your daughter went missing? Why haven't you been charged with neglect? Why did you leave Maddie alone? Why did you neglect her? Why did you write a book? What has that money been spent on? How can you leave three children unattended in a foreign country? Kate, Gerry, why don't you answer these questions? This story has always gripped me. It never seemed right from the start and her reactions never seemed right. Now I'm a mother myself it is all even more bizarre. You just wouldn't leave your children like that, you would get done for neglect unless there was some huge thing going on or bribery. Not answering the questions that could help find your missing daughter just screams guilt and the fact there is no evidence of abduction but plenty of murder raises so many questions. I hope we get to find out what happened to that sweet little girl one day. If she is alive and out there and they have been telling the truth then I'd apologise whole heartedly but I've a feeling that will never be the case. Whatever happens I hope there is justice for Maddie.